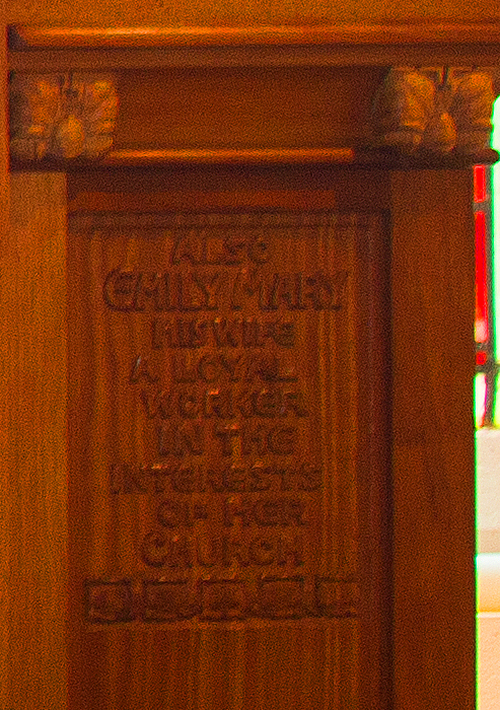 Reredos dedicated 1936, St Andrew's Church, Westbury . Who was Nellie Payne? CHURCH CENTENARY AT WESTBURY St. Andrew’s Rich in Beauty and Sacred Tradition St. Andrew’s Church of England, Westbury, celebrates its centenary to-day (Saturday) by the holding of a fair in the Parish Hall, which the Lord Bishop, Dr. R. Snowdon Hay, will open, and by two special services in this grand old building at 11 a.m. and 7 p.m. to-morrow (Sunday). Round this church of St. Andrew centre many memories of generations of men and women who have been baptised, confirmed, admitted to communion, and married within its walls, and of those “whose course on earth is o’er,” and whose mortal remains lie in the burial ground a short distance away. 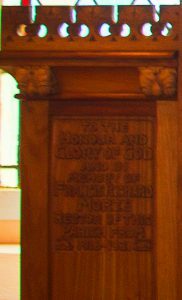 The reading desk and splendid reredos, also Blackwood, the latter being placed in the chancel to the memory of the late Rev. F. R. Morze and Mrs. Morze, are another evidence of Mrs. Payne’s delicate taste and workmanship. 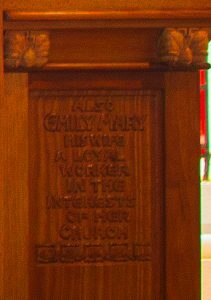 Mrs. Payne has also carved a font cover of Blackwood, which will be placed on the font on Sunday. A metal cross in the sanctuary is a gift from the Priestley family, who for many years were loyal members of the church. 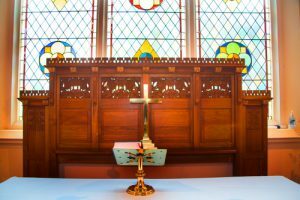 One hundred years and St. Andrew’s still stands a monument to loyal and devoted churchmen who have laid the foundation and aided in the building of the life of the English Church in this part of the diocese.